New Refresh Windows tool app leaked for Insiders. The new app allow users to clean install Windows. WalkingCat posted details about this new tool on Twitter. Latest app to clean install Windows 10 is very simple to use. There are not many options but, it allows you to install the latest version of Windows 10. You can keep personal files or delete everything. New app is not working on Windows 10 build 10586 right now. Only Insiders with latest insider build can install this app. 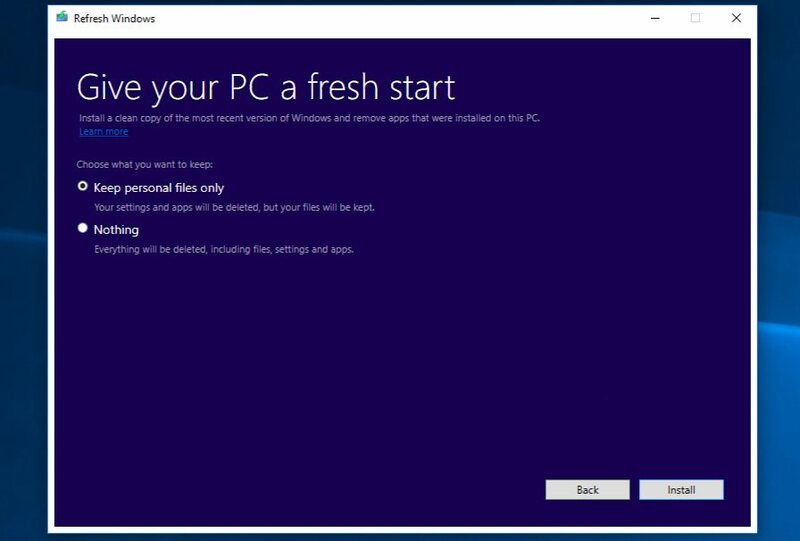 Last month Microsoft stated that they are working on a tool which will help users to clean install Windows with less efforts. Microsoft has yet to officially announce the tool.